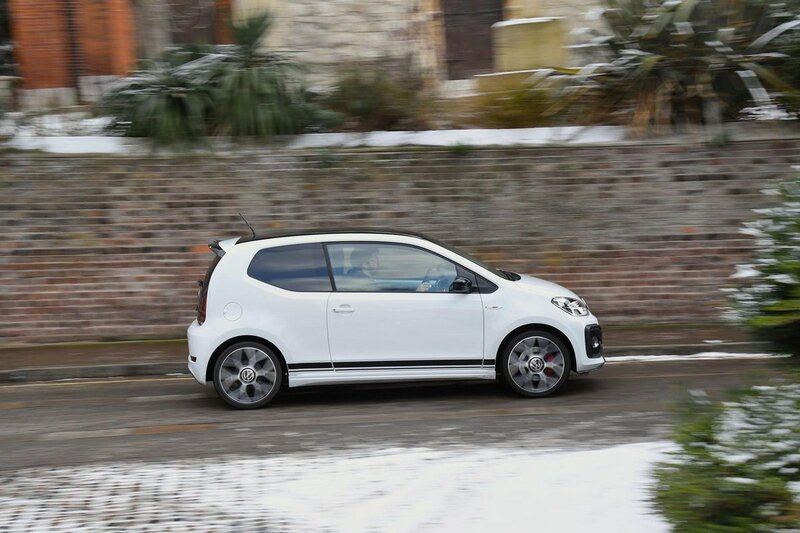 Volkswagen Up GTI Interior, Sat Nav, Dashboard | What Car? Okay, let’s get the iffy bit out the way first; it’s always been the case with Ups that you can’t see all the dials – the top of the steering wheel gets in the way, you see. It‘s possible that not everyone will find this an issue, but we have yet to find someone, whether they are tall, middling or vertically challenged, who doesn’t. The only way to alleviate this is to put the height-adjustable steering wheel (like in most city cars, the Up’s doesn’t adjust for reach) as high up as it goes, but that feels very odd. The simple dashboard is easy to get to grips with – there are few switches beyond those for the ventilation, radio and lights, and all are easy to reach. Don’t expect anything opulent or ornate, though; the Up is a basic, no-frills motor and the GTI version is no different. That said, it still manages to be stylish; the exposed body-coloured metal door tops look cool, and even though all the plastics are hard, they look pleasant and feel sturdy. 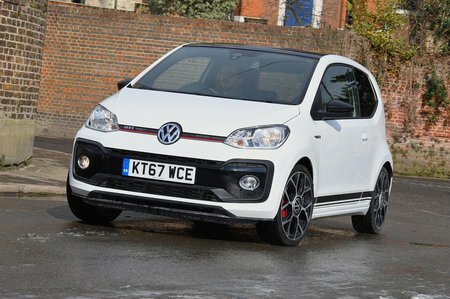 To distinguish the GTI model, you get a sports leather-trimmed steering wheel with red stitching and, of course, tartan trim for the supportive seats. The angle of the front windscreen pillars slightly obfuscates your vision along a really tight and twisty road, but otherwise all-round visibility is as good as it gets in a modern car, while the Up’s boxy shape makes it a doddle to park. A sharp 5.0in colour screen comes as standard. This is the Up’s high-end system, which includes Bluetooth, a USB socket and a six-speaker hi-fi. You can also download a free app to your phone so you can operate it via the screen and use it as sat-nav. There's even a cradle on the dashboard to hold the phone, although this accepts devices with a screen size of up to 5.5in only.